After purchaing a license from this website you will receive an email containing the license name and code - as below. Note how the name is actually the email address. To register the app (and remove the trial period) you must launch the app then choose the Preferences menu option and enter the name/code in the License tab then press 'Register' - as below. 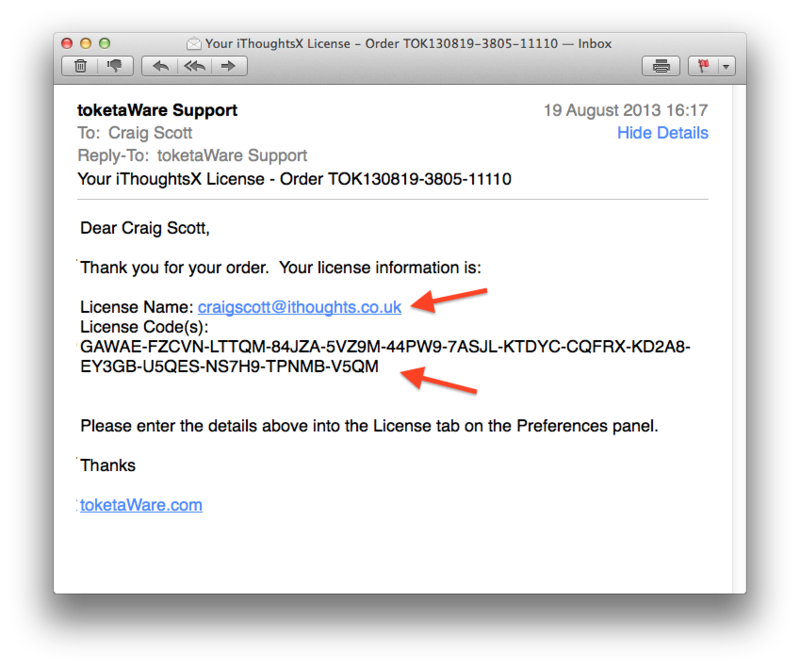 Please note that the name and code are case sensitive and must be exactly as they appear in the email.